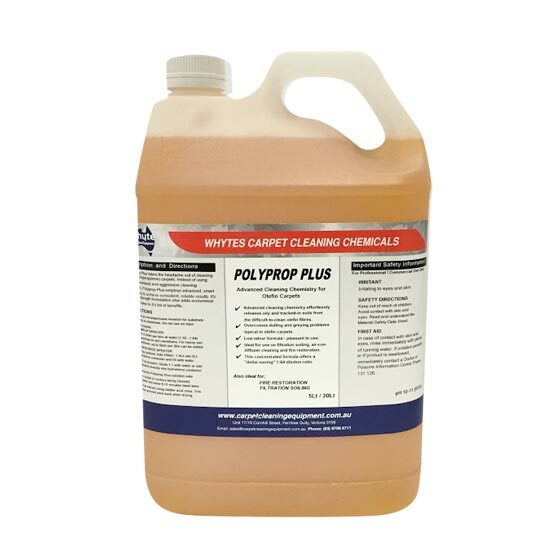 Prespray detergents make up the bulk of professional carpet cleaners purchases. 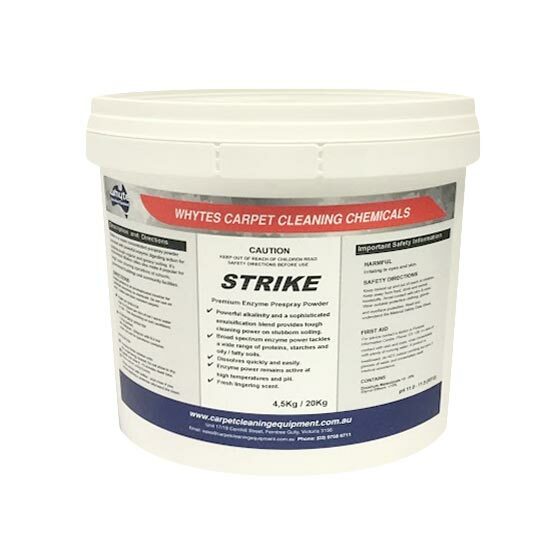 That’s why Whyte Specialised Equipment has formulated a range of low cost, high performing carpet presprays designed to give you optimal results. 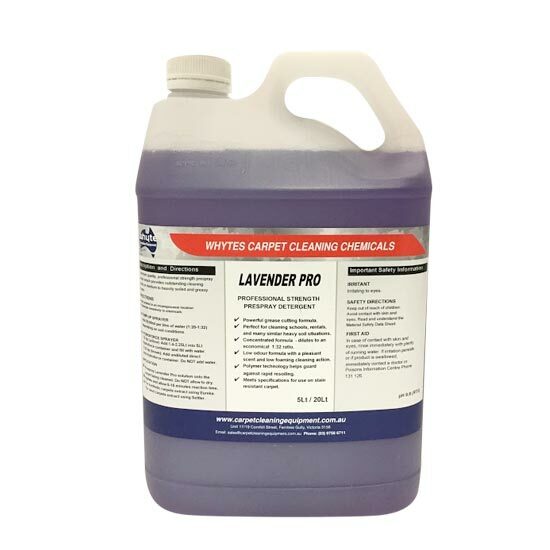 We have presprays that are specifically manufactured for a range of situations and cleans, so you can rest assured we have the solution for you. 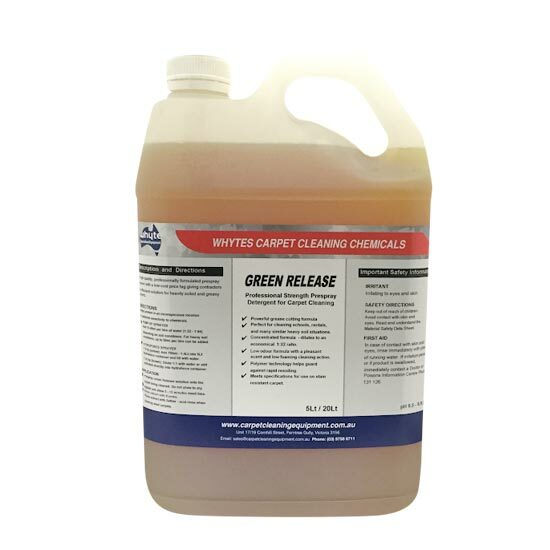 We have low cost carpet cleaning presprays, using a well buffered alkaline-salt blend combined with powerful solvents, surfactants, emulsifiers and sophisticated enzymes to tackle heavily soiled and greasy carpets in homes, offices and schools. 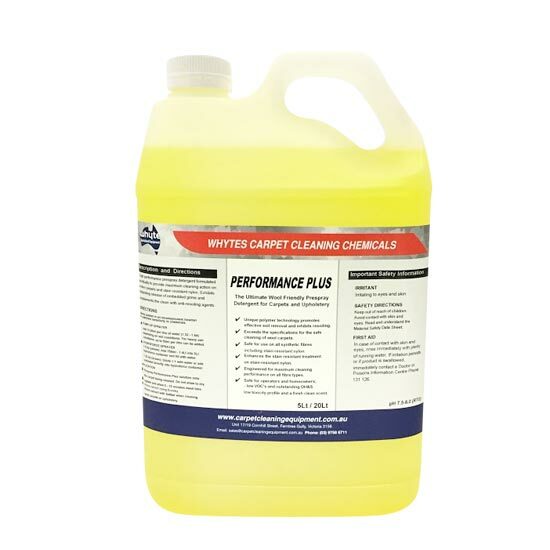 We even have a smart double-strength formulation that derives its unbelievable performance from smart soil release chemistry instead of harsh highly alkaline cleaning agents. This is perfect for fire restoration work! 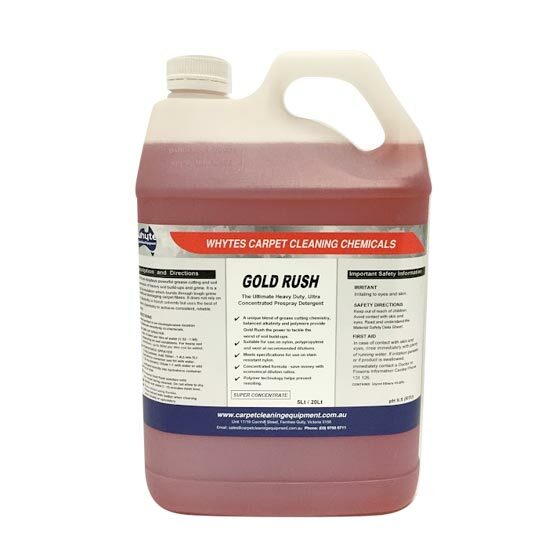 If you need a prespray that rips through the toughest of grime, all the while caring for the carpet fibre and rinsing easily to leave the carpet chemical free, then you’ve come to the right place! Based in Ferntree Gully, our carpet cleaning prespray to businesses across Melbourne, Canberra, Sydney, Brisbane, Darwin, Perth, Adelaide and Hobart – and across regional Australia.